Thank you to all of the wonderful QSR teams who entered Summit’s Australia Day QSR Way competition in 2019. We are excited to announce the winner of this year’s competition. 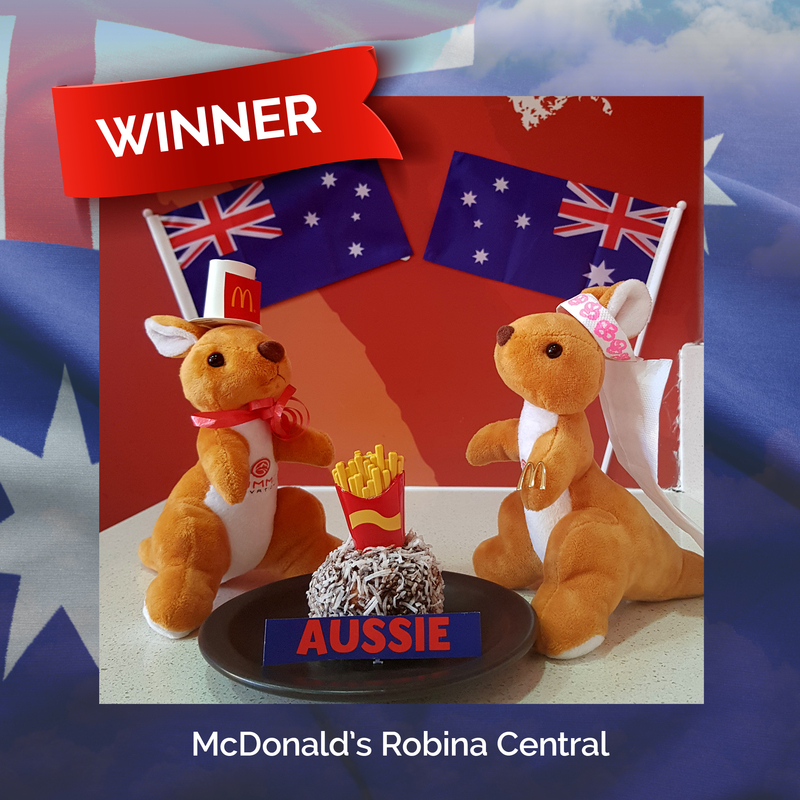 Congratulations to the team at McDonald’s Robina Central – you have won $1,000 to spend toward any Summit Innovations product or service*! “Meet Kippy & Kippa, they met in the summer of 2017. They fell in love instantly. With the same interests, one being their love for McDonald’s food especially the new lamington’s available in the cafe, and Australia Day being their favourite holiday, they thought the only way to celebrate was to get married at McDonald’s! We would also like to pay honourable mention to our two runners-up. Congratulations to KFC Sydenham and McDonald’s Emu Plains on your quirky and creative entries. KFC Sydenham showed off Kippy the Summit Roo playing cricket, while McDonald’s Emu Plains decked out its staff and store in all things Aussie! Show us ‘Australia Day QSR Way’ for your chance to WIN!